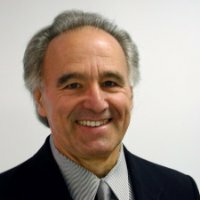 Dr. Peter D’Antonio, Founder/Chairman of RPG Diffusor Systems, Inc. will discuss RPG’s evolution of products and services over the past three decades and the current state-of-the-art in measuring the absorption, scattering and diffusion coefficients, using multiple microphone technology. He will also describe the services offered by the Chesapeake Acoustic Research Institute he founded in 2007. Founder/Chairman, RPG Diffusor Systems, Inc.
Peter D’Antonio was born in Brooklyn, New York, in 1941. He received his B.S. degree from St. John’s University in 1963 and his Ph.D. from the Polytechnic Institute of Brooklyn, in 1967. Dr. D’Antonio has specialized in a wide variety of scientific disciplines including spectroscopy, x-ray and electron diffraction, electron microscopy, software development, and architectural acoustics. In 1996, Dr. D’Antonio retired after 29 years of research in diffraction physics at the Naval Research Lab, Washington, DC. During his scientific career, Dr. D’Antonio published widely and was a member of the internationally renowned Laboratory for the Structure of Matter, headed by Nobel Laureate Dr. Jerome Karle. As a musician and recording engineer, Dr. D’Antonio maintained a separate concurrent career in the music industry. In 1974, he developed a widely used design for modern recording studios at Underground Sound, Largo, Maryland, utilizing a temporal reflection free zone and reflection phase grating diffusors. Dr. D’Antonio is founder and Chairman of RPG Diffusor Systems, Inc., established in 1983. He pioneered the sound diffusion industry and has significantly expanded the acoustical palette by creating and implementing a wide range of novel number-theoretic, fractal and optimized diffusing and absorbing surfaces, for which he holds many trademarks and patents. He has lectured extensively, published numerous scientific articles in peer review technical journals, acoustical and architectural magazines and is the co-author of the reference book Acoustic Absorbers and Diffusers: Theory, Design and Application, Spon Press 2004 and 2nd Edition published by Taylor & Francis 2009. He has also contributed several chapters to the Master Handbook of Acoustics, 5th Edition published by McGraw Hill 2009. He served as Chairman of the AES Subcommittee on Acoustics Working Group SC-04-02, which published AES-4id- 2001 for diffusion coefficient standardization; is a member of the ISO/TC 43/SC 2/WG25 Working Group, which published ISO standard 17497- 1:2004 for scattering coefficient standardization and ISO 17497-2 for diffusion coefficient standardization; and has served as adjunct professor of acoustics at the Cleveland Institute of Music, since 1991. He is a Fellow of the Acoustical Society of America and the Audio Engineering Society, a Corporate Affiliate of the American Institute of Architects and 2012 Inductee to the TECnology Hall of Fame.